Business gross profits is usually the key indicator of performance and new business development activities and sales. It is a sad truth that 80% of businesses fail in their first five years of operation, and one 1 in 25 will survive their first ten years. The main reason is because they don’t have enough customers buying from them regularly – they simply run out of cash. They let their current customers slip away to do business with their competitors. So, the only way to succeed in business is for the owner to have a clear understanding of the market for its products and services. Before a person becomes a customer, they are merely a name, a lead. A customer is someone who has made an actual purchase. A lead in merely a potential customer. A prospect. The more leads or prospects you have, the more you can convert into paying customers. How do you get more prospects? Joint venture arrangements, and many, many more. Because the choices for finding more prospects are many — and not all created equal — choosing the correct ones becomes a prime area of concern. This means a higher percentage of sales based on people served. For example, if a company were averaging 20 sales per 100 people contacted, a worthy goal would be to increase sales to 35 or 50 per 100 prospects. There are ways to make this happen: Improved telemarketing scripts, more attractive offers, testing different prices, improving quality, and more. One of the Holy Grails of marketing excellence is the repeat sale – or more specifically, creating repeat customers who come back to buy again and again. Far too many businesses ignore this simple-to implement, common sense strategy to boost profits. Repeat sales are sometimes called “back-end” sales. For many companies, sales on the back-end are where the true profits are made. For many companies, first sales may generate little or no profit, or even a small loss. This is sometimes called a “loss leader.” It’s a low-profit sale designed with an eye on making real money on the second and third sales. But whether one makes a profit on the first sale, or not, getting more sales after a first is a major key to higher success in marketing and selling. It takes a certain amount of time and effort to make each sale. Why not squeeze more out that transaction while the customer is in the process of buying? It’s easily done. For example, if a customer buys a shirt, he may also buy a tie at the same time – but the customer is far more likely to do so if actively prompted by the seller. Suggesting an additional sale at point of purchase is called ‘Cross-Selling’. A cousin of Cross-Selling is ‘Up-Selling’. An example: “You can get the larger soft drink for just 25 cents more. It’s a better value.” The idea is to prompt the customer to buy a larger size, amount, etc. Profits can be increased with each sale by manipulating packaging, whereby the customer pays slightly more but gets an item of extra value. The small amount of extra profit obtained from each sale represents a higher level of profit because no extra money needs to be spent on marketing. Even in packaging deals where premium products are given away, special deals from wholesale suppliers can make the extra giveaway items well worth the cost because of increased overall sales and mark-ups. When customers buy an initial product from a company, and that products delivers value, benefits, and enjoyment to the purchaser, a good company should feel obligated to sell that person more, to improve that customer’s life even more. If a company is proud of the products it sells and the customer agrees that the company delivers high quality, all sides win if more purchases are made. What if the company has no additional products to sell a customer who has been sold once? The obvious answer is that efforts should be made to obtain second-tier products. But if this is not immediately feasible, the original seller can refer the customer to another non-competing company who may have something the customer can use. Why make the effort? What’s in it for the original seller? Among other reasons, it’s a terrific opportunity to build good will with a future potential joint venture partner. The second business may often return the favor and send new customer back to the original seller. Finally, an arrangement can be made so that a commission or profit share is provided. In knowing the ‘lifetime value’ of your customers tells you scientifically how much you can spend to acquire new customers. What is the ‘Lifetime Value’ of a customer? ‘Lifetime Value’ is the true Total Worth of a customer to you. The monetary value of their referrals. Knowing this customer value can not only help you better understand and achieve sales and revenue targets; knowing this value can also help you to strategically structure your marketing budget. As much as 90 percent of new business comes through referrals of new customers made by existing customers. Providing extra value, referrals cost next to nothing. Referrals are powerful because it’s an endorsement of a product from a trusted source – a friend, colleague, or acquaintance – not a advertisement which has been specifically constructed to make you think or feel a certain way about a product or service. Single Channel of distribution – Most businesses typically rely on one method of generating income from direct sales and hence time versus effort is the limited factor to achieving massive results. Multiple Channels of distribution – This provides instant leverage and multiple income streams to boost sales revenue and profitability from a lower cost base exponentially than linearly. Based on limited resources and investment in overheads this is far more effective to select complimentary channels to help grow your business. With every referral obtained the growth potential is increased by the number of channels who are active. Increasing just one of these profit multipliers will help your business to grow organically with existing clients and help acquire new clients. Increasing all of these multipliers by just a small margin will exponentially skyrocket your bottom line profits and should be considered as part of your sales strategy. 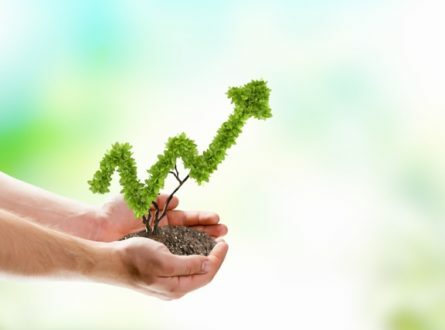 To have a further discussion about improving your business’ sales profits, and to better understand how to implement these strategies effectively, please contact us for an obligation-free conversation or register for our FREE business growth assessment.